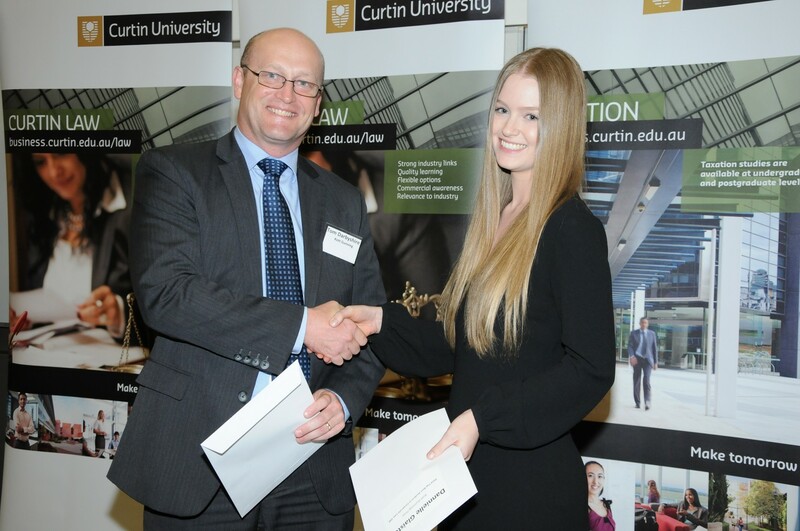 Curtin Law School held its second prize giving ceremony on Thursday, 7 May 2015. The event was attended by forty seven high achieving prize winners (many of them multiple awardees) and many supportive sponsors including The Department of the Attorney General, The Office of The Director of Public Prosecutions for WA, The Hon. Christian Porter MP, Law and Tax firms and private donors. 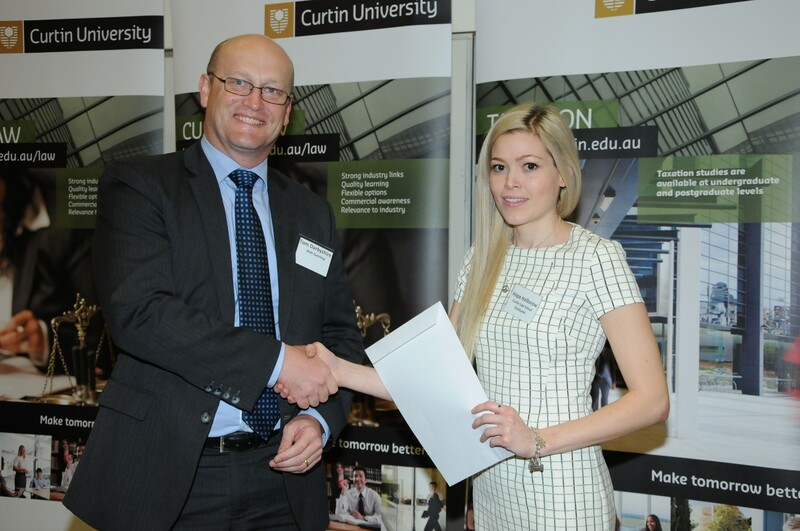 Kott Gunning is a significant sponsor at the prize giving with the Kott Gunning Prize being awarded for the 2014 Best Student in Corporate Law 200. 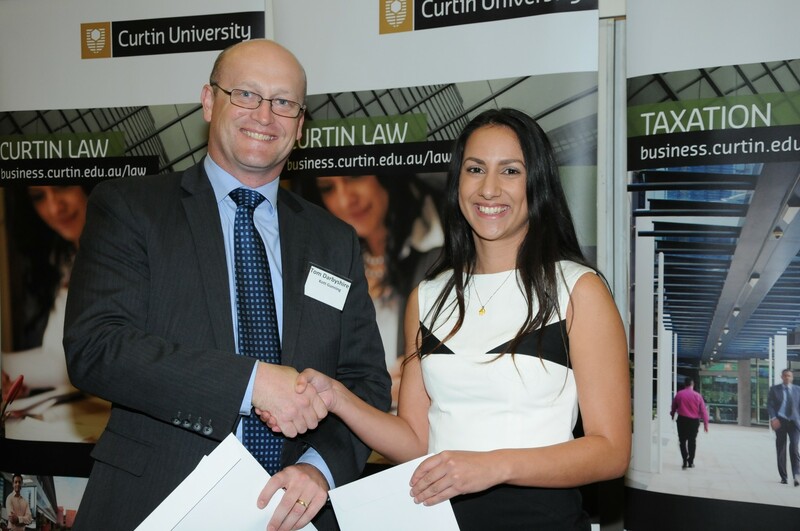 In 2014, Curtin Law had 3 students with equally high scores: Dannielle Glaister, Tamlyn Jayatilaka and Carla Ditchfield-Hunia. As the prize was to be divided 3 ways, Kott Gunning raised the prize value so that each student received a viable amount. On the night Managing Partner, Tom Darbyshire, presented the Kott Gunning prizes to Dannielle Glaister, Tamlyn Jayatilaka and Hope Holborow who accepted the award on behalf of Carla Ditchfield-Hunia. Western Australia’s newest and most innovative Law School (CLS) is situated within the industry focused Curtin Business School (CBS) on the beautiful Bentley campus of Curtin University. The School combines three Departments, of Law, Business Law, and Taxation. The CLS offers a range of programs including a Bachelor of Laws (LLB) taught by highly qualified and experienced legal academics, a professionally relevant Business Law major taught within the Bachelor of Commerce and a suite of tax programs taught at both undergraduate and postgraduate level. Academic staff within the CLS are committed to high levels of industry relevant research as well as dedicated, professional and stimulating teaching methods. The CLS is fortunate to be richly endowed with industry and professional connections, and has an Advisory Board chaired by the Chief Justice of Western Australia, the Hon Wayne Martin AC. Next year foundation students will complete their four-year Bachelor of Law (LLB) degrees – in just three calendar years due to the trimester system. Their hard work will be rewarded as they can use the time saved for further studies, overseas travel, or earlier entry to the profession. They will have earned their degrees – really earned them – helped along the way by an experienced academic team.